SWINGIN’, SURFIN’, AND MONSTERS – ANOTHER WEEKEND AT UNCLE PETE’S!!! 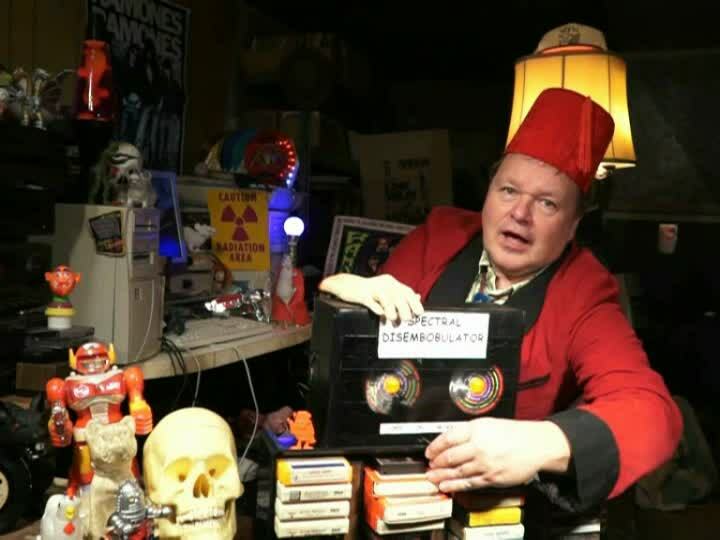 UNCLE PETE FIRES UP THE SPECTRAL DISEMBOBULATOR ™ FOR A NIGHT OF MUSIC, MONSTERS, AND MAYHEM! Get your boards waxed up and your dancing shoes shined and join UNCLE PETE this week for a music filled surfin’ monster fest on THE DARK VAULT OF PUBLIC DOMAIN! First up is a jukebox full of UNCLE PETE’S Music Picks with many never before seen music videos from China, Japan, Canada, and the good ol’ USA. He’ll bring you rockabilly, punk, and flat out classics from the likes of Johnny Cash, D.O.A., and many others including a world premier music video from the Bastards Of Imperialism whose lead singer wrote the theme song for THE DARK VAULT OF PUBLIC DOMAIN (as performed by The Nation Of Salami). Then it’s down to the beach for lots of surfin’, dancin. and eatin’ (of mostly the surfers and dancers) in The Beach Girls And The Monster. Famed oceanographer (that’s like a fish doctor) Dr. Otto Lindsay (John Hall) is kind of a bigamist – married to his research and younger and good lookin’ Vicky (Sue Casey) too. Vicky is upset with the Doctor’s lack of attention to her. The Doctor’s upset with his son Richard (Arnold Lessing) who has given up on science for surfing. And the beach monster is upset because he’s hungry. So he does something about it – he eats some beach goers. The doctor feels the monster is a giant mutated carnivorous South American fish that can now come out of the water to chow down. But does the monster have a work visa or even a passport??? With direction and cinematography also from Jon Hall, music by the Illusions, and a theme song (Dance Baby Dance) written by Frank Sinatra Jr., from 1965, it’s The Beach Girls And The Monster. UNCLE PETE is well situated in the Dark Vault Control Room where he not only computerizes up some spiffy music videos but a whole big clump of trailers and some great commercials including spots for the Tiger and Swingin’ Cat Electric Guitars and the Big Bash drum by Emenee (Jumpin’ Jiminy! It’s By Emenee!). So tune in this Saturday night, August 12, 2017, from 10PM to midnight (with replays at midnight and 2 AM) on channel 4 in Binghamton, channel 17 in the Montrose/Sayre, PA area, and channel 99 for Corning/Hornell/Elmira and Utica/ Rome and channel 30 in the whole north country of New York State. It’s UNCLE PETE’S Music Picks followed by The Beach Girls And The Monster on the next DARK VAULT OF PUBLIC DOMAIN!!! ~ by UNCLE PETE on August 9, 2017.